The challenge of delivering personalized learning experiences in a large class, and through groups or teams, is an undertaking fraught with difficulties. Yet it is a necessary experience for engineering education since engineering in the real world are team-based events that build from individual knowledge. This paper reports on the learning of supply chain management (SCM), a fundamental component in engineering manufacturing operations and logistics planning. 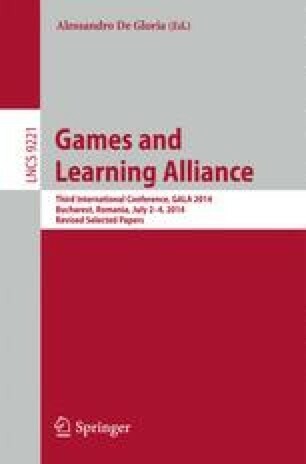 The study investigates the use of SHORTFALL a team-based game in conjunction with various degrees of facilitation, supported with taught material. Early results from two separate and independent studies indicate that the usefulness of using SHORTFALL in classes regarding the students’ experience and learning outcomes depends on the prior knowledge of the students as well as on the use of an expert facilitator. This work has been co-funded by the EU under the FP7, in the Games and Learning Alliance (GALA) Network of Excellence, Grant Agreement nr. 258169.